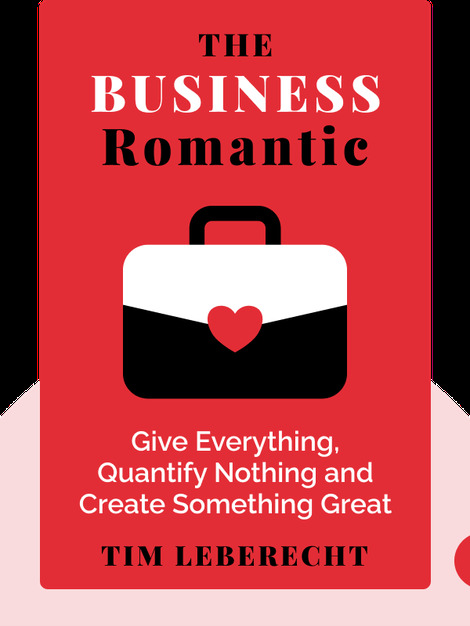 The Business Romantic (2015) offers an alternative approach to doing business in which passion, not profit, matters most. These blinks guide you through the strategies that will bring authenticity and connection into your workplace. 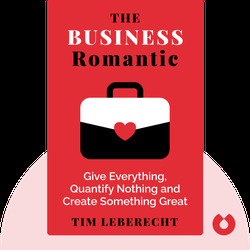 Tim Leberecht is the chief marketing officer of NBBJ, a design and architecture firm that helps global players like Amazon, Boeing, Microsoft and Starbucks create meaningful brand experiences. His TED talk “Three Ways to (Usefully) Lose Control of Your Brand” has been viewed by a million people.